Theanine is an antioxidant that's found naturally in tea leaves. So far, it hasn't been studied specifically for fibromyalgia and chronic fatigue syndrome, but we do have studies suggesting that it may be effective in treating many symptoms of these conditions. Theanine may also lower blood pressure and bad cholesterol, increase anti-tumor activity, and help regulate the sleep-wake cycle. Those are a lot of benefits from a single substance, and especially from one that appears to be quite safe. Theanine is available in supplement form, frequently under the name l-theanine or under the brand name suntheanine. Some formulations may have other ingredients as well, so be sure to check the label so you know exactly what you're taking. Because it hasn't been studied for these conditions, we don't have standard dosage recommendations for treating fibromyalgia or chronic fatigue syndrome. However, for other conditions, the typical recommended dosage is 100 to 200 mg per day. Some studies, though, have used up to 600 mg per day. If you prefer to get theanine through your diet rather than from supplements, there's the good news: Studies have shown that theanine does cross the blood-brain barrier. That's not the case with a lot of things, including substances that your brain needs. To get a therapeutic effect, it's believed that you need to have dietary levels of at least 50 mg per day. It may take more for you to notice an effect. Depending on the quality and strength of the tea, that's about three cups a day. Tea is really the only place you can get it naturally. The only other place theanine has been found in nature is in the Bay Boletus mushroom, which is native to parts of Europe and North America, but it's not one you can expect to find in your local supermarket. So far, researchers don't know of any significant negative side effects or drug interactions associated with theanine. A short-term study on rats showed that repeated, extremely high doses cause few or no apparent harmful effects. That's pretty amazing when you consider that even the safest, most common drugs and, yes, supplements generally come with the risk of a few negative effects. With theanine, though, the only problem seems to be that you could consume too much caffeine and stimulants may have a negative effect on some people with fibromyalgia and chronic fatigue syndrome. Remember, though, that decaffeinated tea does still contain theanine. Theanine also doesn't have any known negative interactions with other treatments. We don't have any data so far on whether theanine is safe during pregnancy or while breastfeeding. As you consider supplements for medicinal purposes, consider which ones are the best match for your symptoms and include your doctor and pharmacist in the decision-making process. Take a slow, cautious approach to starting any new treatment, including supplements. Also, consider a symptom journal to help you spot any changes, for the better or worse, that may follow a change in your treatment regimen. Amino acids. 2009 Jan;36(1):21-7. "Theanine, gamma-glutamylethylamide, a unique amino acid in tea leaves, modulates neurotransmitter concentrations in the brain striatum interstitium in conscious rats." Asia Pacific journal of clinical nutrition. 2008;17 Suppl 1:167-8. "L-theanine, a natural constituent in tea, and its effect on mental state." Current opinion in clinical nutrition and metabolic care. 2009 Jan;12(1):42-8. "Tea and health: preventive and therapeutic usefulness in the elderly?" Journal of neuroscience research. 2008 Jun;86(8):1846-56. 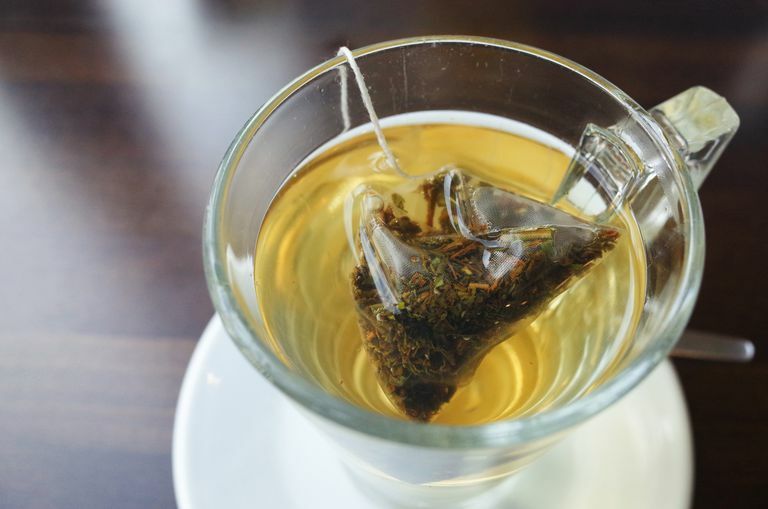 "Theanine, an ingredient of green tea, inhibits glutamine transport in neurons and astroglia in rat brain." Neurotoxicology. 2008 Jul;29(4):656-62. "Protective effect of the green tea component, L-theanine on environmental toxins-induced neuronal cell death."